White prototype previews new 600-horsepower Mercedes supercar to launch next year. 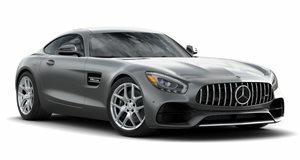 Mercedes-Benz knows its high-performance vehicles, and at the pinnacle stand two model lines: the SLS AMG and the AMG Black Series. Now the two are set to combine for what promises to be the most devastating performance vehicle ever to wear the Silver Star. Following earlier test mules spied last year, this latest batch shows a white prototype gearing up for its market introduction. A more aggressive body kit is apparent, but the best parts lie underneath the skin. The 563-horsepower 6.3-liter V8 in the SLS AMG is expected to be boosted to around 600 hp thanks to a larger air manifold, re-profiled camshafts and a higher compression ratio. Expect bigger brakes to keep it all in check. With more power and less weight, the ultimate performance Benz is expected to drop its 0-60 time from 3.8 seconds to 3.5, and raise its Autobahn-crunching top speed from 197 mph to 208. The upgraded Gullwing could lead to a Roadster version down the line, but for now expect the coupe to launch at around 260,000 euros towards the beginning of the new year. 2018 Mercedes-AMG GT C First Look Review: Has AMG Built The Perfect Convertible Sports Car? And if so, what's going to happen to the SL? 2018 Mercedes-AMG GT C Coupe Test Drive Review: The Best AMG GT Yet? Do widebody stance, extra power and the GT R’s rear-wheel steering finally unleash the 911 Turbo slayer in the AMG GT?